Patek Philippe has officially announced that Thierry Stern will take over the position of President of Patek Philippe SA Geneva from his father Philippe Stern. This means that the firm will be under the hands of the fourth generation and remains a family run business. 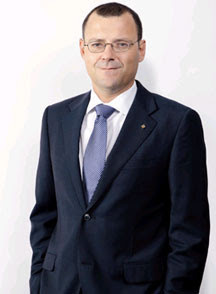 Thierry Stern has been in Patek Philippe since the 90s. His experience includes working in the production workshop, in the retail arm in Germany and the US. He was also in-charge of the Benelux market. He was then appointed to head the Creation Department and eventually took over the position of Vice-President. Patek Philippe is currently managed by a Management Committee. The members of the committee are Thierry Stern (President), Philippe Stern (Honorary President) and Claude Peny (CEO).